Dupuis, Serge. "Dubreuilville". The Canadian Encyclopedia, 04 October 2018, Historica Canada. 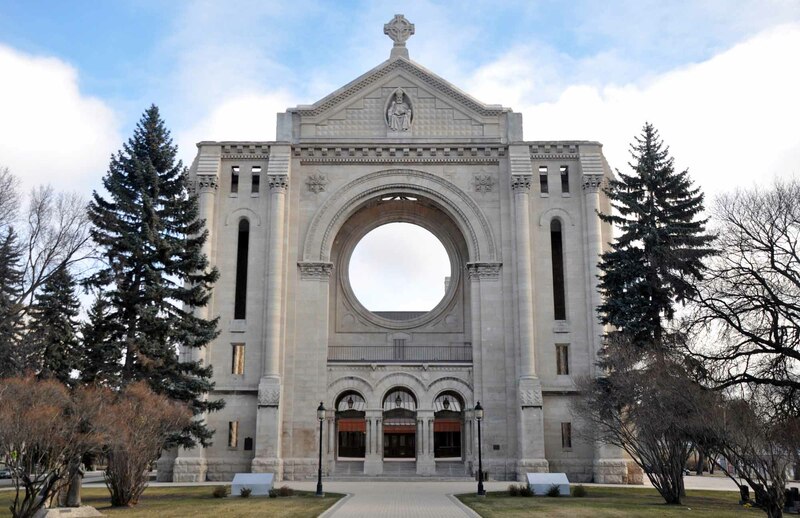 https://www.thecanadianencyclopedia.ca/en/article/dubreuilville. Accessed 20 April 2019. Dubreuilville, Ontario, incorporated as a township in 1985, population 613 (2016 Census), 735 (2011 Census). Located 74 km north of Wawa, Dubreuilville was originally a company two owned by Dubreuil Brothers Limited, a logging and lumbering operation. Founded in 1961, Dubreuilville was settled by French-Canadian families who had migrated from the Abitibi and Lower St. Lawrence regions of Quebec. Dubreuilville quickly became a prosperous community, known for its efficiency and innovation in harvesting and processing timber, but experienced its first economic difficulties during the 1980s and the 2000s. Today, Dubreuilville is a gold-mining community with one of the highest concentrations of francophones — and in particular, unilingual francophones — in Ontario. The Cree and Ojibwe were the first peoples to inhabit the region northeast of Lake Superior. In 1850, the British Crown signed the Robinson-Superior Treaty with the Ojibwe of the region, which led to a greater influx of white colonists in the decades to come (see also Treaties with Indigenous Peoples in Canada). The Algoma Central Railway (ACR) began serving the region in 1899. This railway brought miners to the Magpie mining	camp in the 1920s and lumberjacks to log black spruce for the Abitibi Power and Paper Co. Ltd. from 1936 to 1945. 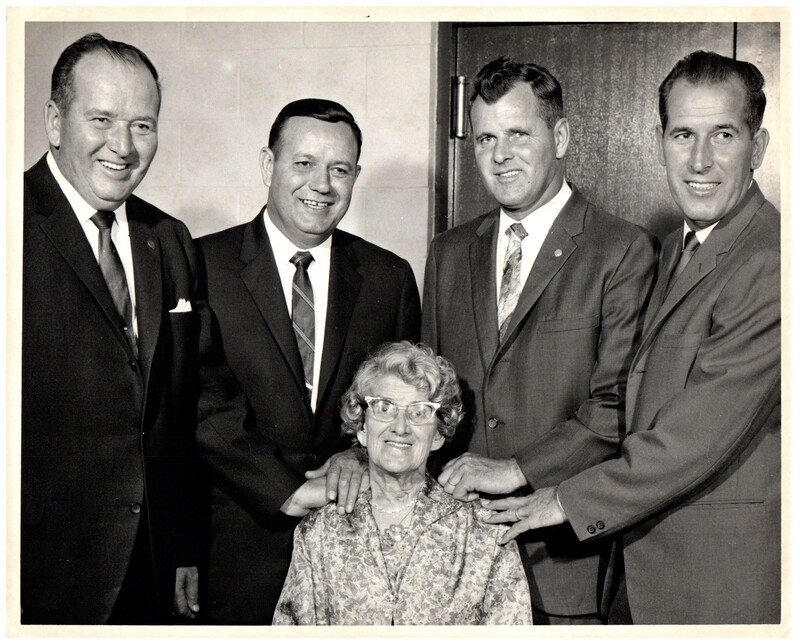 Born and raised in the Abitibi region of Quebec, the four Dubreuil brothers moved to northeastern Ontario in 1947 to work as logging contractors. 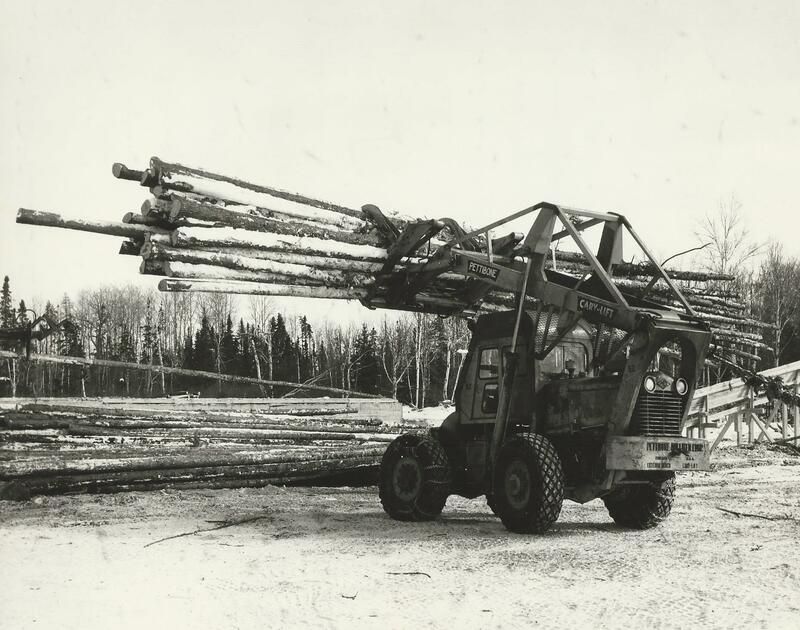 Their company, Dubreuil et Frères Enregistrée, secured its first major contract from the Ontario Department of Lands and Forests, to help recover timber that had been scorched by a fire in the Mississagi River valley in the spring of 1948. The company then adopted the name Dubreuil Brothers. This contract ended in 1951. The ACR also gave the brothers a contract to harvest timber on its land farther north, around the old Magpie mining camp. They settled there along with dozens of French-Canadian loggers and their families. The four Dubreuil brothers were Napoléon (1913–1993), Joachim (1917–2001), Augustin (1924–2011) and Marcel (1927–2017). In 1959, the Dubreuil brothers asked the ACR to sell them the land occupied by the village of Magpie, but the railroad turned them down. The oldest brother, Napoléon, then proposed moving the village of 200 people to a location some 20 km north, for two reasons: he had noticed that the provincial government was granting cutting rights farther and farther north, and he wanted a location where the company’s sawmill	and planing mill could be close together (at Magpie, they were 15 kilometres apart). The loggers’ houses in Magpie were designed for easy disassembly, which made the proposed move feasible. The 63-hectare site that Napoleon chose for the relocated village that would become Dubreuilville was on level ground between Green Lake and Willigar Lake. It was close to the ACR and had no competitor within a radius of more than 50 km. Napoléon purchased the site and obtained an initial concession of 10,000 cords of wood (mainly jack pine and balsam fir) from the province. He was delighted that the new sawmill would be able to produce 50,000 board feet of lumber per day. From left to right: Napoléon, Joachim, Augustin and Marcel Dubreuil. Seated: Cécile Dubreuil, their mother. Date of photo unknown. Construction of the village, which would accommodate 400 residents, began in August 1960 and was completed in September 1961. The first street to be laid out was Rue des Pins (Pine Street), where 18 new single-family homes were built. Behind them, the houses from Magpie were reassembled. Next came a number of streets named after other local tree species: Rue des Bouleaux, Rue des Épinettes, Rue des Sapins, Rue des Saules and Rue des Trembles. All of the houses had running water	and electricity. They were connected to a common septic tank and a heating system that used the steam generated by the boilers at the sawmill. The houses remained the property of Dubreuil Brothers, and monthly rent was deducted from the workers’ pay. The company also built a dormitory to accommodate 72 unmarried male workers. 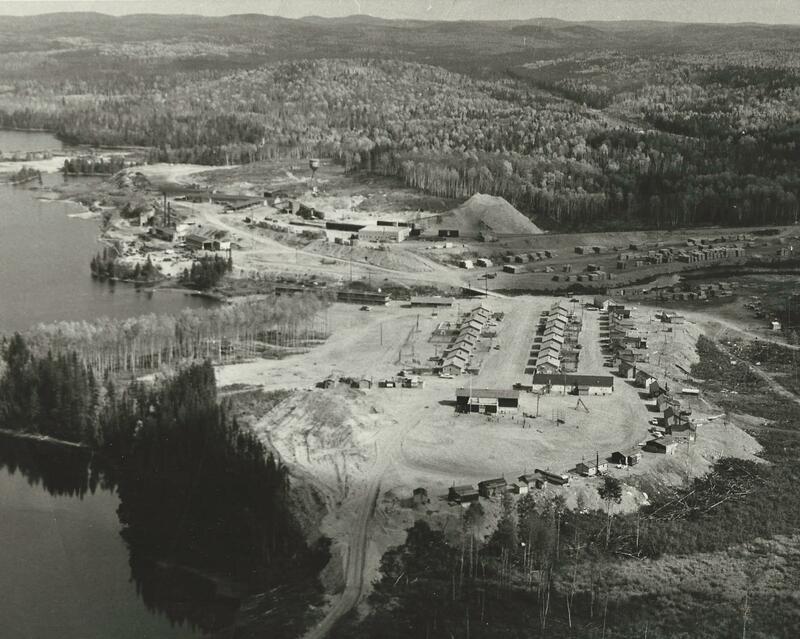 This modern village was described as “a model of planning and efficiency” by a group of forestry	students from the University of Toronto who visited it in 1963. See also: Company Towns; Resource Towns. During the village’s first decades of existence, economic activity was at its peak. The lumberjacks felled the trees in the forest, stripped their bark, and trucked them over logging roads through the forest to the sawmill (see alsoForest Harvesting). There the logs were washed, then cut into pieces as efficiently as possible to reduce waste. Unique products such as Dubreuil Board (a kind of tongue-and-groove board) were sold at the Dubreuil Lumber hardware store, near the ACR	in Sault Ste. Marie and just a stone’s throw from the United States, to which the Dubreuil operation was shipping a growing volume of wood. Napoléon Dubreuil introduced innovations based on methods that he had observed on an exploratory trip to Norway and Finland in 1965. Such innovations allowed Dubreuil Brothers to land cutting contracts in all the surrounding townships directly from the Ontario government. 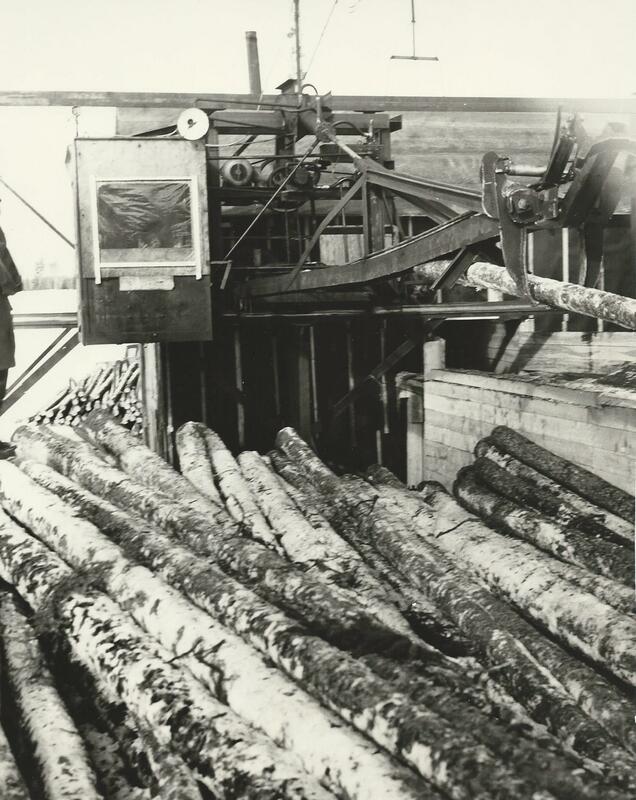 In 1969, Dubreuil Brothers produced 33.1 million board feet of lumber and 35.9 tonnes of wood chips. The company’s logging roads enabled the workers to go home every night instead of spending weeks or even months on end away at logging camps. In addition, the company harvested timber all year around, thus providing stable, stimulating jobs. These good working conditions in Dubreuilville attracted impoverished families who could not make a stable living from farming in the Lower St. Lawrence region or logging on the North Shore in Quebec. The typical annual salary in Dubreuilville enabled families to enjoy a high quality of life. Little cash circulated in the village, because the workers’ expenses were deducted from their pay; if they needed cash, they had to request a withdrawal from their payroll account on payday. Dubreuil Brothers owned all the houses and streets and the general store in the village, but managing it was becoming more and more of a burden. The company agreed to the posting of an Ontario Provincial Police	officer in Dubreuilville in 1975, the beginnings of municipal government in 1977, and the unionization of the company’s workers in 1978. Napoléon Dubreuil then resigned as company president, entrusting management of the mill to his son Jean-Paul and management of the workers’ residences to his nephew Raymond. At that time, Dubreuil Brothers had 425 employees and was producing nearly 80 million board feet of lumber per year. Dubreuilville lumber-drying facility with water tower in background. Archival photo (date unknown). 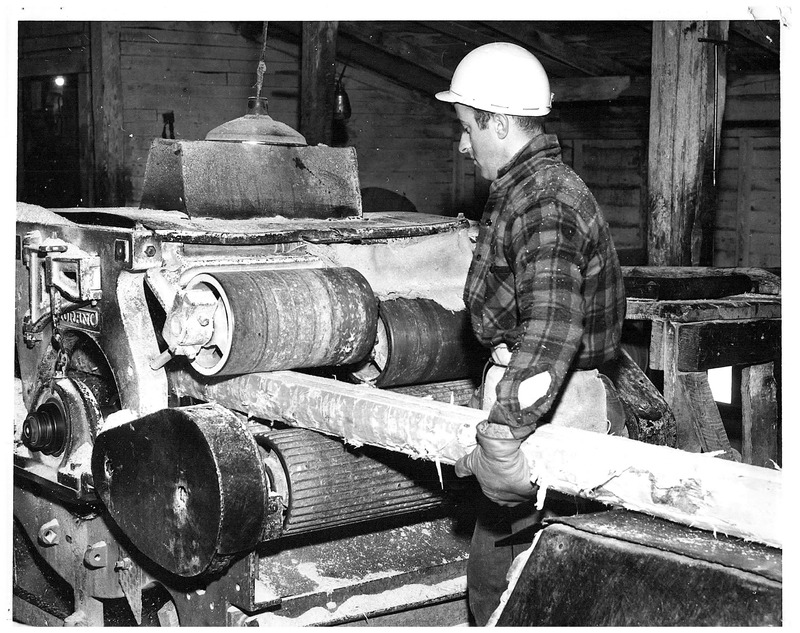 During the 1980s, several family-owned sawmills in northeastern Ontario were bought out either by large integrated forest-products firms that owned both sawmills and pulp mills or by multinational companies that owned mills in several countries. Dubreuil Brothers was no exception, even though the firm had taken major steps to enhance its profitability, signing a forest-management agreement with the government of Ontario in 1984 and building a plant to produce wood chips from aspen	(a previously unexploited species) in 1987. The oldest brother’s son Jean-Paul Dubreuil bought the company from the four brothers’ families in May 1988, but failed to find a partner or secure the cutting rights needed for the mill in Dubreuilville to operate at full capacity. The company was acquired by Buchanan Forest Products of Thunder Bay, Ontario in April 1989. In part due to the weakness of the Canadian dollar, the softwood lumber agreement signed by Canada and the United States in 1996 and the residential construction boom south of the border, Dubreuil Forest Products (DFP), as the company was now known, achieved a daily production of 833,000 board feet and had 570 employees by 2000. However, DFP encountered several major problems in the new millennium. 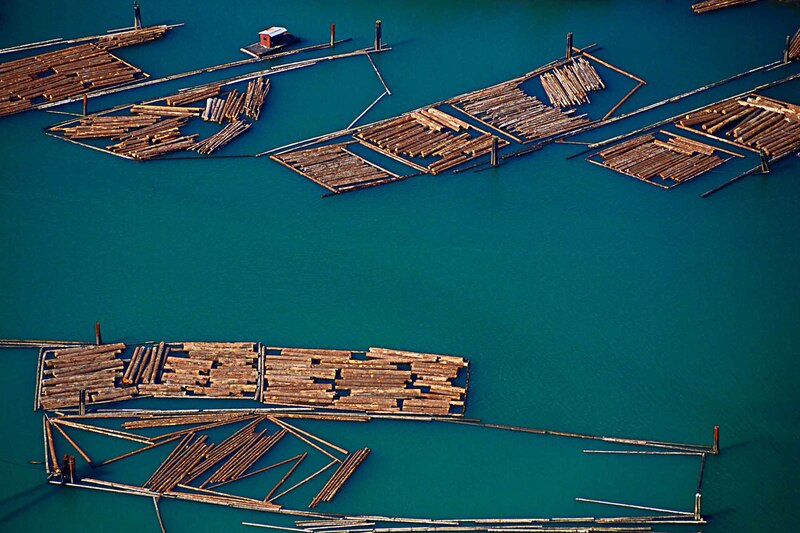 In 2001, the United States decided not to renew the softwood lumber agreement, a decision that opened the way for the US to impose anti-dumping tariffs on Canadian softwood lumber. 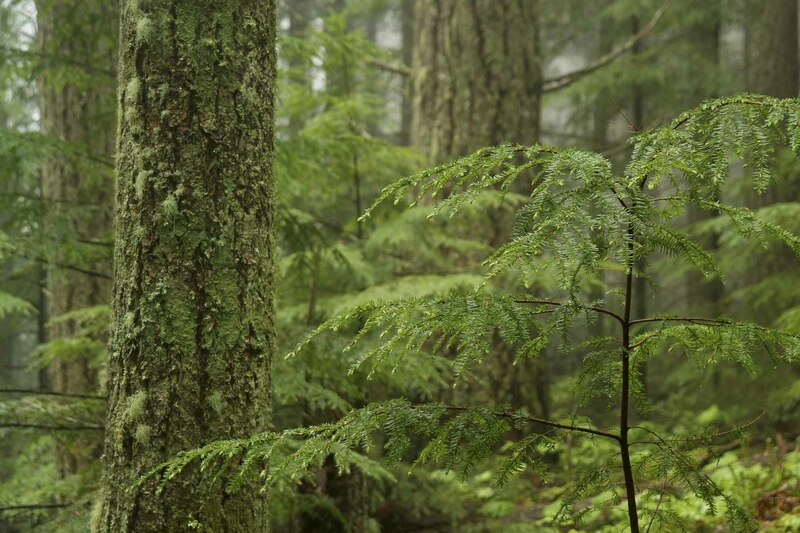 The US argued that such tariffs were necessary to compensate for the low fees that provincial and territorial governments charged the lumber industry to log on public lands, compared with the higher fees charged to log on private land in the US. In 2002, the Progressive Conservative government of Ontario deregulated the rates charged for electricity, thus increasing DFP’s electricity bill by 127 per cent. Some residents of Dubreuilville were already working in the nearby Cline Lake and Edwards goldmines. 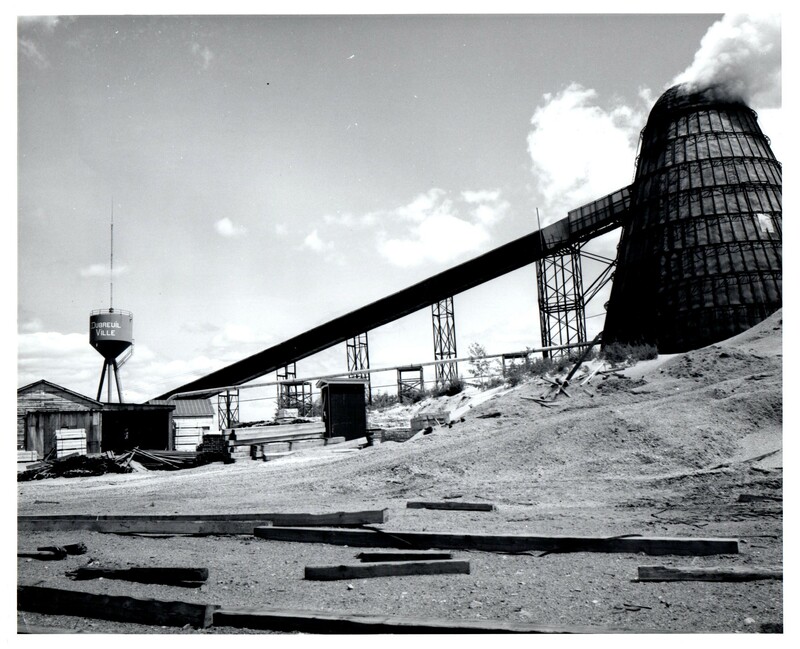 In 2004, the Island Gold mine opened just 15 km from Dubreuilville, easing the employment picture somewhat. As of 2016, a slight majority of the mine’s 170 employees were year-around residents of Dubreuilville, and the trades, services, education and health care provided a considerable share of the jobs in the township. Over the early years of the Dubreuilville’s existence, employment and economic output increased. Its population rose from 400 in 1965 to about 1,100 in 1975. During this time, even though Dubreuilville did not even appear on the Ontario road map, family ties continued to lead streams of workers and their families to migrate there from two parts of Quebec: the Abitibi region, where the four Dubreuil brothers had grown up, and the Lower St. Lawrence. 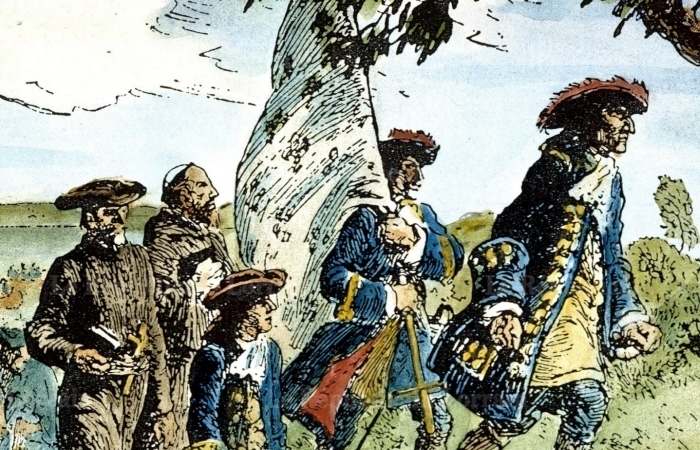 The French language, the Catholic faith and French-Canadian traditions created a tightly knit community into which the few anglophones who lived there tended to integrate. As late as 2016, out of a population of 613, 97 per cent spoke French, 84 per cent had French as their mother tongue, and 24 per cent spoke only French. For many years, the average age of Dubreuilville’s population was lower than that of Ontario as a whole, but more recently it has been about the same, as job scarcity has led younger people to leave in search of work. 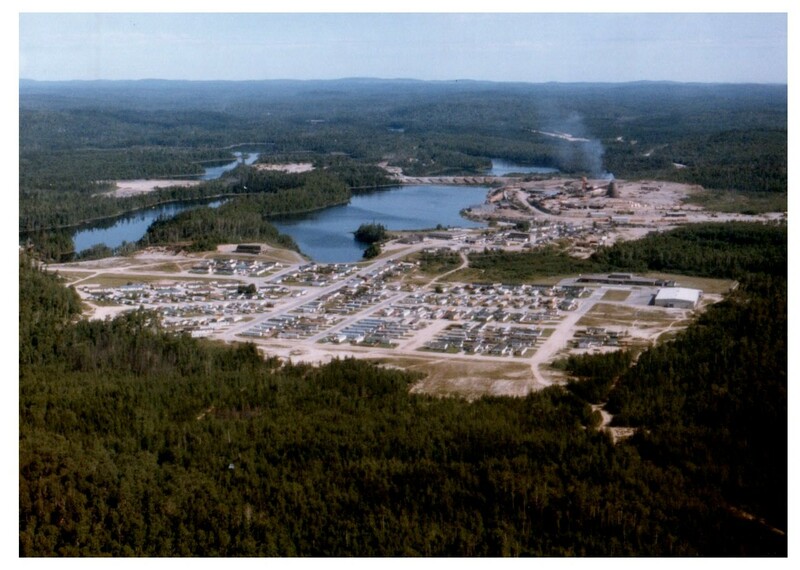 Located on the Algoma Central Railway, Dubreuilville was also accessible by a private road	that connected it to Highway 17 (part of the Trans-Canada Highway) beginning in 1961. The village built a barrier and a security checkpoint on this road to reduce the risks of accidents (on some curves, the road has only one lane) and to control the entry of non-residents. This barrier was satirized in André Paiement’s 1974 play Lavalléville as an attempt to control people’s movements and limit the influence of the region’s dominant English Protestant culture on this French Catholic village. In 1985, the province took over maintenance of this road and redesignated it as secondary highway 519. The security checkpoint was demolished. Since 1961, Dubreuilville has also had a seaplane dock and a helicopter	pad. Dubreuilville has had telephone service since the village was founded. The newspapersThe Sault Star and Le Nord are sold at the general store. People have access to television in their homes, thanks to a local cable network. Originally, the programming was distributed over this network from cassette recordings and hence with a few days’ lag, but in November 1980, a dish antenna was installed to capture satellite TV signals, including that of CBON (the Sudbury	outlet of Radio-Canada). Residents can now also receive several different Quebec TV networks. Internet	access came to Dubreuilville in 1994. Originally, Dubreuilville had no municipal council and no private businesses other than Dubreuil Brothers itself, but gradually the company relaxed its monopoly on governance and economic activity. In 1969, Royal Bank	opened an outlet in the village. Dubreuilville Brothers sold the general store to Yvon Lacroix in 1977, when the province created the Dubreuil Improvement District to enable the residents of Dubreuilville to collect taxes	for their schools and manage their roads. But the council that administered this district was still appointed, rather than democratically elected. 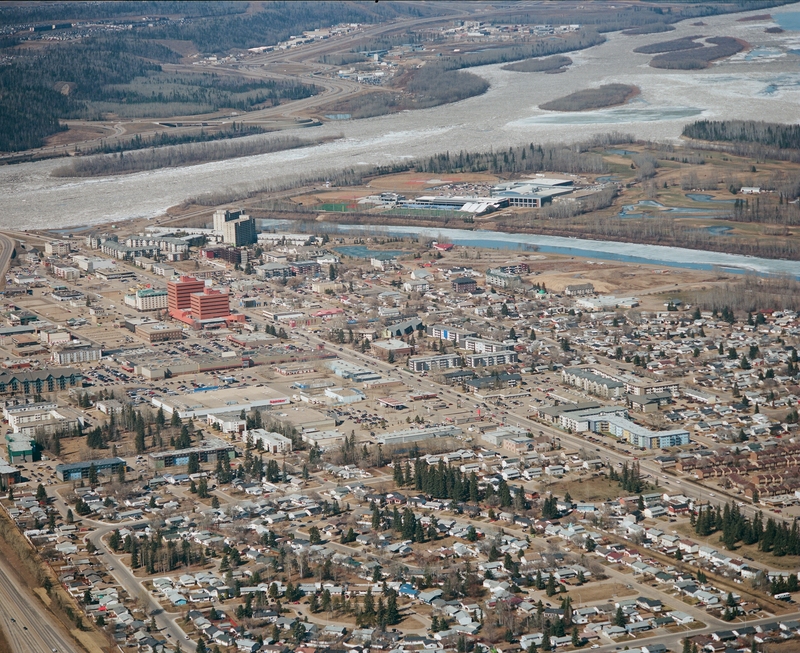 After a protest led by Lacroix, in 1985 the district was granted the status of an organized township, administered by a reeve and four councillors who represented all of its residents (see also Municipal Government). Dubreuil Brothers also ceased managing the workers’ houses and began selling them at a discount in 1982. To protest against the lack of an independent municipal government, Yvon Lacroix appeared at a political rally dressed as a pumpkin, thus ensuring that Ontario premierBill Davis would remember him when he called Davis at his office the following week. 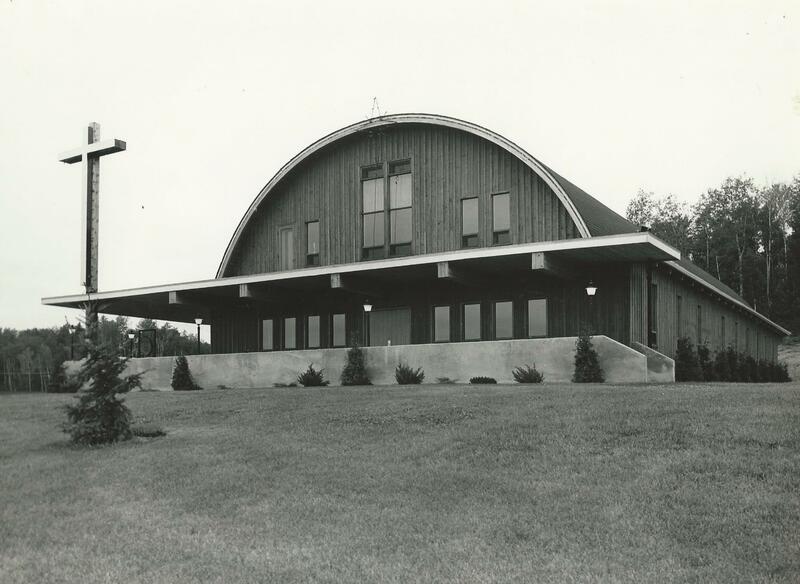 Roman Catholic mass was celebrated weekly in the recreation centre and the school basement in Dubreuilville until February 1972, when the church of Sainte Cécile opened its doors. The church’s altar and sacristy were sculpted from local wood as a tribute to the forest. 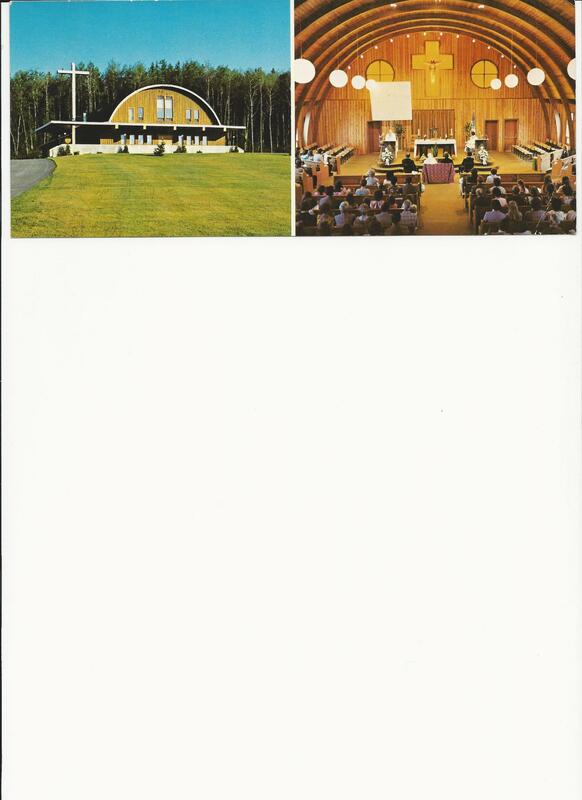 Dubreuil Brothers supplied the wood and some of the labour to build this church. Hockey, fishing and hunting are popular pursuits in Dubreuilville. People also enjoy dances, card parties, and annual festivities such as the winter	carnival (complete with ice castle), Saint-Jean-Baptiste Day and a visit from Père Noël (Santa Claus), who gives a present to every child in the village. A huge recreation centre (including a restaurant, a movie theatre and a bowling	alley) opened in Dubreuilville in 1966 and a hockey arena in 1977. Dubreuilville’s French Catholic primary school, École primaire Saint-Joseph, opened in September 1961. As the population grew, a new school that could accommodate 200 pupils was built; it opened at the start of the 1975 school year. To receive their secondary-school education in French, some students from Dubreuilville attend private schools in Hearst	or Sudbury. Others attend Michipicoten High School in Wawa, but many of them wind up dropping out, because most of the school’s courses are taught in English. 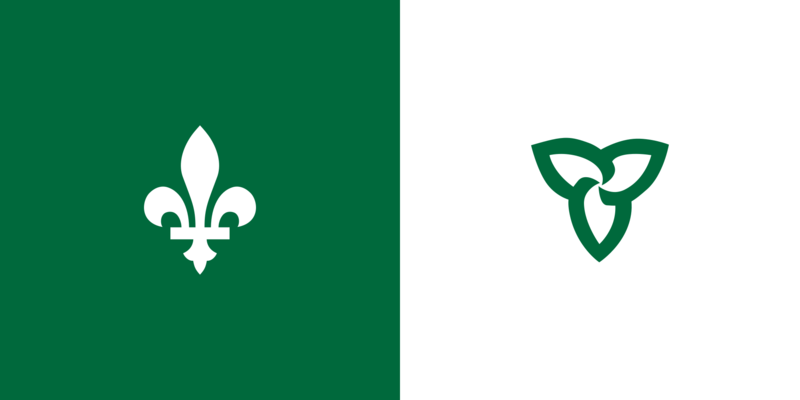 In 1985, the Michipicoten School Board stopped resisting Franco-Ontarian	families’ calls for autonomy and established a francophone school administration. But it was not until September 2008 that a French-language secondary school — École secondaire l’Orée des Bois — opened in Dubreuilville. Unit of measurement for firewood. A cord is a pile of logs measuring 121.5 cm x 121.5 cm x 243 cm. Unit of volume equal to the volume of a board measuring 12 inches square and 1 inch thick. André Paiement, “Lavalléville, comédie musicale franco-ontarienne,” Les partitions d’une époque. Les pièces d’André Paiement et du Théâtre du Nouvel-Ontario (1971-1976), vol. 1, Sudbury, Éditions Prise de parole (2004), pp. 21–148. Michael Commito, “‘A sparkling example of what aggressiveness, imagination, and skill can accomplish’: The Rise of Dubreuil Brothers Limited, 1948–1973 », Ontario History, vol. 105, no 2, automne 2013, p. 212-230. Dubreuilville : 50 ans d’histoire de 1961 à 2011, Dubreuilville (2010). Serge Dupuis and Sophie Blais, Les Dubreuil et le bois : une histoire de Dubreuilville, Sudbury, Éditions Prise de parole (2018). Claude Miquet and Hubert Potvin, with Napoléon, Joachim, Augustin et Marcel Dubreuil, Gens de mon pays, Toronto, Société Radio-Canada, October 1973, 32:00 minutes.